Italian superstar Alessandro Del Piero will play his 800th professional game on Sunday, admitting he never dreamed of reaching such a landmark. The 37-year-old former Juventus legend has impressed in all three games he has played for his new club Sydney FC, including scoring the winner against Western Sydney last weekend. Piero said he was grateful to still be performing. "I'm not 100 percent, definitely," he told reporters after training on Wednesday. "But I'm feeling good because I'm training every day and this is important." 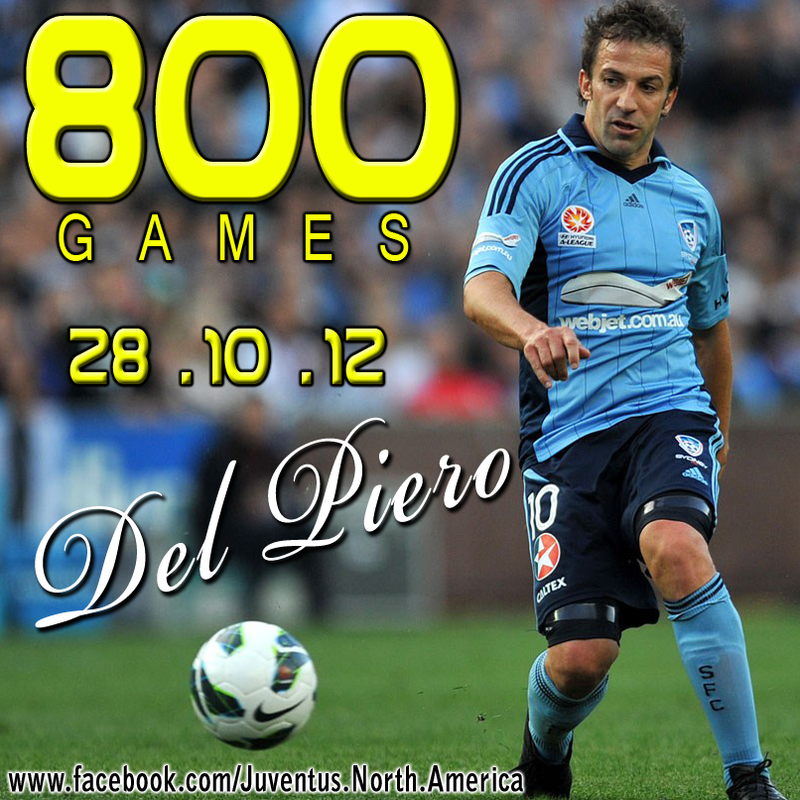 Del Piero has spent 19 seasons with Juventus, two with Padova as a youngster and played 91 internationals for Italy, with his fourth appearance for Sydney this Sunday against Perth Glory taking him to 800 matches. He said he never dreamed of playing so many games. "If I'm honest, no, but I'm happy it will happen here," Del Piero said of the milestone. "It (800 games) is a long time. I'm happy to be here and I broke a lot of records in Italy. Now I start here." "When I played my first game, I was really happy -- it was enough," he added. "I was 18 and I didn't know what would happen with the future. I had a lot of dreams and a lot of them have happened and I'm lucky for that."